During my Toronto trip, my co-workers suggested I get lunch from Messini, a Greek fast food place on Yonge near Eglinton station. 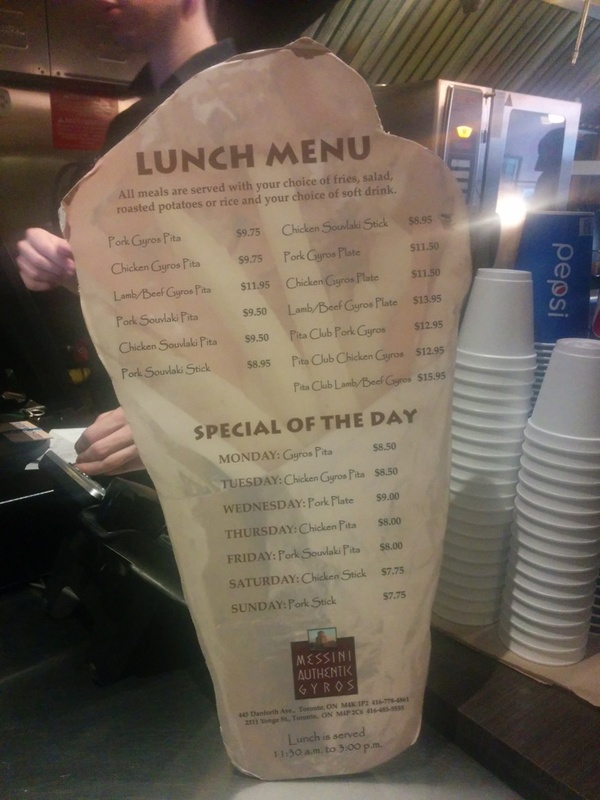 They have different lunch specials every day for around $8! There’s a good amount of seating inside and there was a long line up during lunch time. I went on a Friday so I ordered the Pork Souvlaki Pita and all meals are served with your choice of fries, salad, roasted potatoes or rice and a soft drink. The Greek salad was huge and they were heavy handed with the feta cheese! The pork souvlaki pita came with a few pieces of fries stuffed inside too! This was a super filling meal and I only finished half of it. The pork was a bit on the dry side and I thought there was too much tzatziki sauce in the pita but otherwise I can’t complain about a cheap lunch! 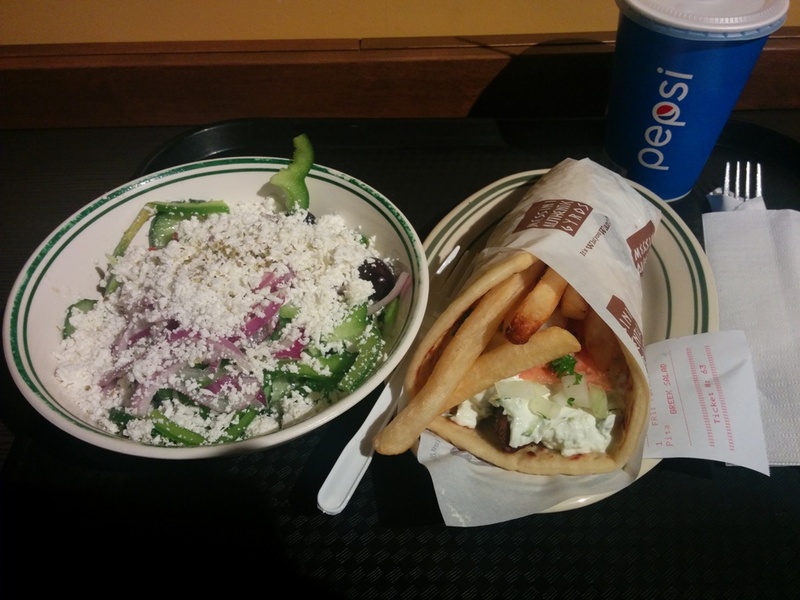 This entry was posted in European, Food Reviews, Greek and tagged Greek salad, pita, souvlaki.